Shirts With Random Triangles: Notre Dame Adds Three-Star LB Prospect Drew White To Its 2017 Recruiting Class. 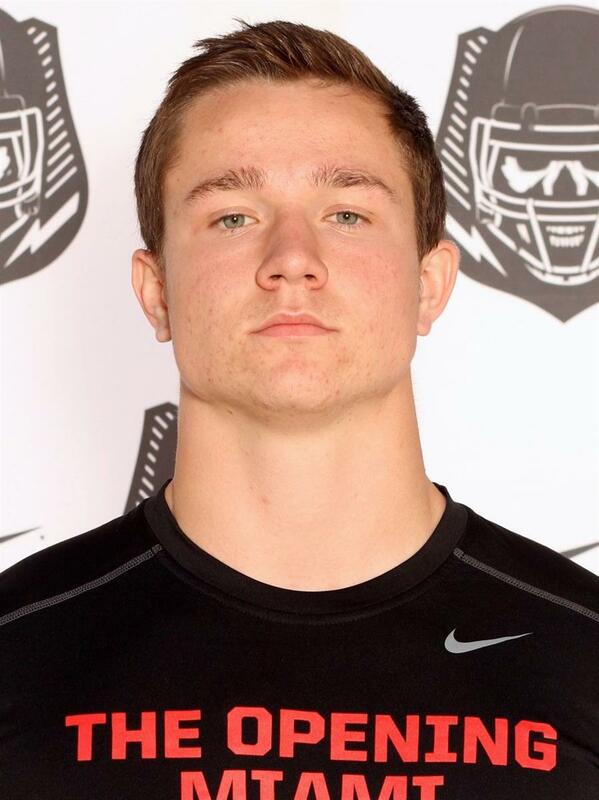 Notre Dame Adds Three-Star LB Prospect Drew White To Its 2017 Recruiting Class. Drew White. Image via 247sports.com. Notre Dame has added a ninth commitment to its 2017 recruiting class. Ft. Lauderdale. Fl high school junior inside linebacker Drew White committed to the Fighting Irish on Monday. 247Sports grades White as a composite three-star inside linebacker prospect. The recruiting website ranks White at no. 33 among 2017 ILB prospects, at no. 136 among 2017 prospects from the state of Florida, and at no. 915 among 2017 prospects nationwide. White attends St. Thomas Aquinas High School in Ft. Lauderdale, Fl. He stands 6'1, and weighs 225 lbs.